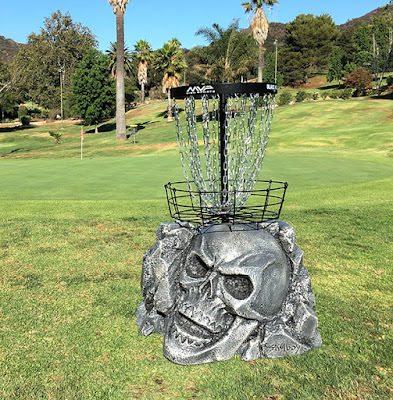 Skulboy Designs: Basket Of Doom! 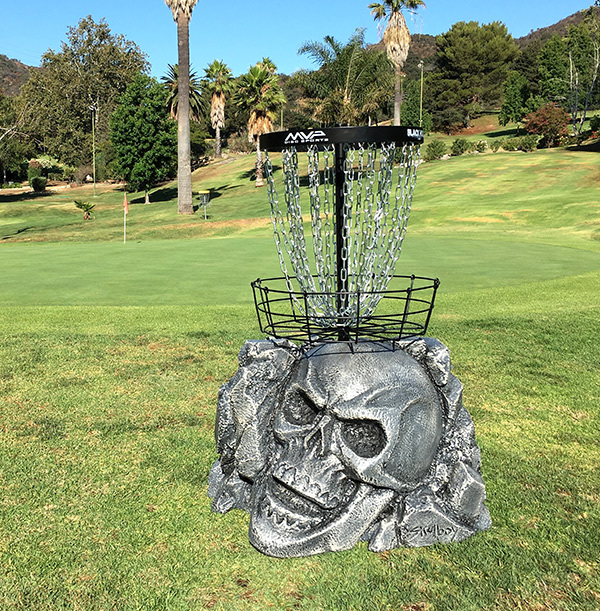 For some time now, I've been trying to figure out a way to bring my experience as a Sculptor of Movie Sets to the game of Disc Golf. 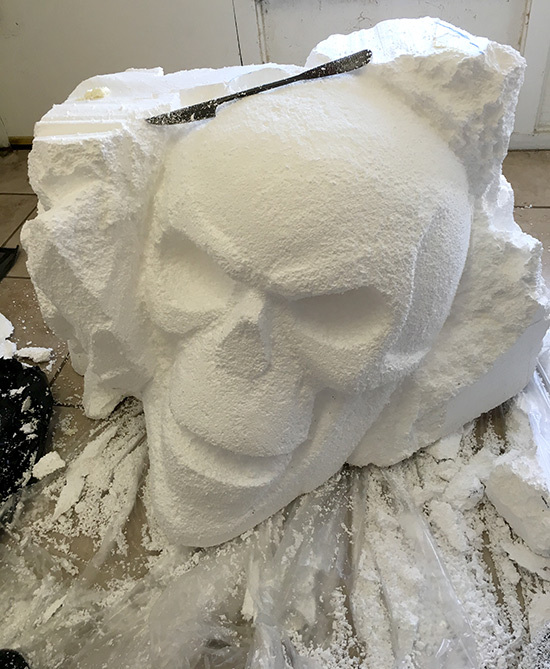 The result is the Skulboy Sculpted Basket Base. This will be the first of many to come. Starts with a block of polystyrene. 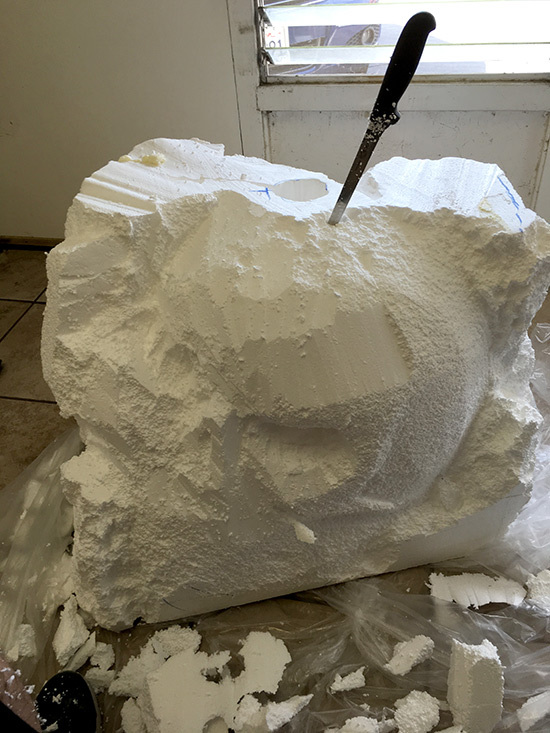 The final sculpted base: hard-coated, painted and installed on a MVP Pro Practice Basket.